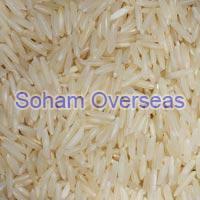 Super kernel basmati rice is regarded as one of the most exotic delicacies in our country. This rice is grown organically by our trusted sources with the aid of updated techniques and methods. The promptness of our sales team, back end, purchase team, and agricultural experts makes us one of the best super kernel basmati rice suppliers in India. The offered rice is apt for preparing exquisite rice dishes, as the long grain renders a rich appeal to the delicacy prepared. For preparing exotic dishes, this rice is the best choice. We pursue our business operations in complete compliance with the standards and rules laid down by the industry.